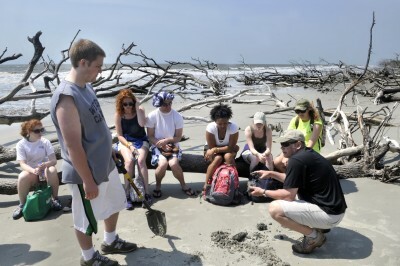 Robert S. Young is the Director of the Program for the Study of Developed Shorelines, a joint Duke University/Western Carolina University venture. He is also a Professor of Geology at Western Carolina University and a licensed professional geologist in three states (FL, NC, SC). The Program for the Study of Developed Shorelines (PSDS) is a research and policy outreach center serving the global coastal community. The primary mission of PSDS is to conduct scientific research into coastal processes and to translate that science into management and policy recommendations through a variety of professional and public outreach mechanisms. 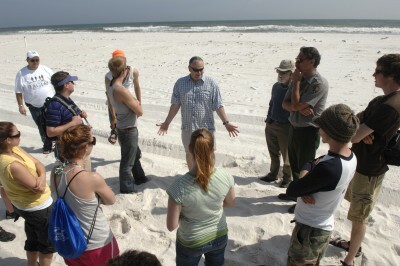 The Program specializes in evaluating the design and implementation of coastal engineering projects. Dr. Young received a BS degree in Geology (Phi Beta Kappa) from the College of William & Mary, and MS degree in Quaternary Studies from the University of Maine, and a PhD in Geology from Duke University where he was a James B. Duke Distinguished Doctoral Fellow. Dr. Young has approximately 100 technical publications and he serves on the Editorial Board of the Journal of Coastal Research and Environmental Geosciences. 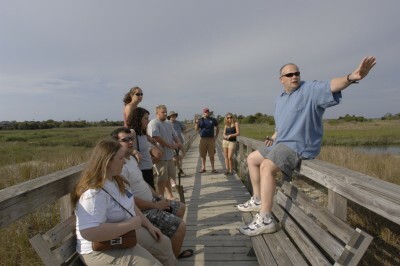 He currently oversees more than $3.5 Million in grant-funded research projects related to coastal science and management. Current research projects include: 1) an NSF-funded project examining the coastal impacts of the Elwha River dam removal project; 2) a major scientific effort to restore native rivercane Arundinaria gigantea to the southern Appalachians; 3) building a national, geo-referenced storm surge database in partnership with NOAA; 4) a National Park Service funded project to map coastal engineering activities in coastal parks; and 5) working at the local level to help communities plan for rising sea level. Dr. Young is a frequent contributor to the popular media. He has written numerous articles for outlets like the New York Times, USA Today, Architectural Record, the Houston Chronicle, and the Raleigh News and Observer, among others. He is co-author of The Rising Sea and co-editor of Geologic Monitoring, both released in 2009. Finally, Dr. Young has testified before congress and numerous state legislatures on coastal issues. He currently serves the State of North Carolina as a member of the Coastal Resources Commission Science Panel and the State of South Carolina as a member of the Blue Ribbon Committee on Shoreline Management. He is President of Sialia Environmental, Inc— a firm that provides environmental consulting and restoration design.